You will find some awesome animal lover t-shirts here in all sorts of sizes. Each purchase benefits the dogs rescued by ETPBR. This site has several items that will promote awareness of the Pit Bull and ETPBR. Additionally, the rescue receives a small portion of the proceeds. Did you know that by simply using your Kroger Plus card you help ETPBR raise money? 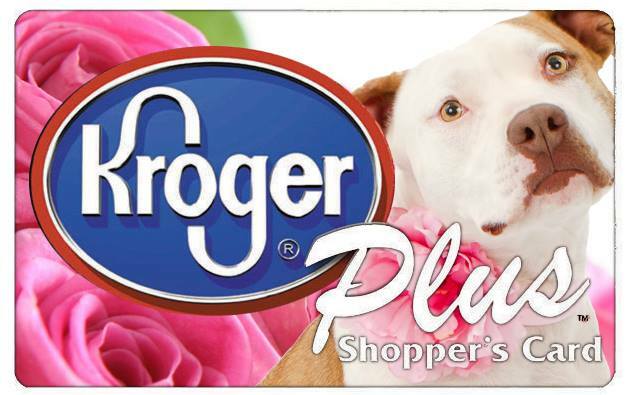 If you login to Kroger Community Rewards Program and select East TN Pit Bull Rescue (# 36440) as your chosen recipient, we will receive a percent of what your spend shopping! So get signed up and start shopping! Join at iGive.com and shop, and search for the greater good! By selecting ETPBR...you will donate to the pibbles with each search and each purchase! Want to send items to the dogs in our care? Don't know how to get them to us or what to send? Check out our wish list at Amazon!